US President-elect Donald Trump’s statements show that he is willing to pave the way for dialog with Russia and join efforts in fighting global terrorism, the head of the Russian Orthodox Church, Patriarch Kirill told RT. The patriarch praised Trump’s campaign statements, in which he showed “intent to pave the way for dialog with Russia, primarily regarding the fight against terrorism,” as he spoke to RT’s Daniel Hawkins in an exclusive interview. In this regard, Trump was very different from the other US presidential candidates, as “rhetoric was also in stark contrast with what other candidates were saying. That is why there was no hope in other candidates’ remarks,” the head of the Russian Orthodox Church added. In the interview, which the patriarch gave amid preparations for his 70th birthday on Sunday, he touched on a broad range of issues from the election victory of Donald Trump to Middle Eastern and African conflicts as well as the liberalization of some denominations in the West. 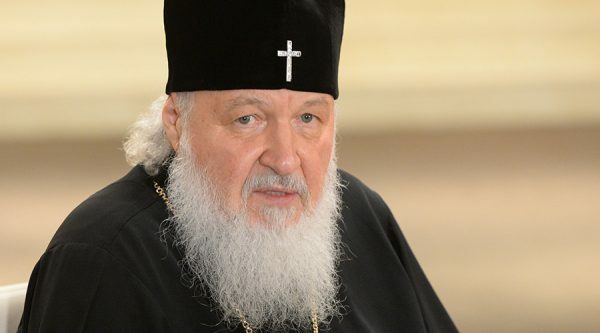 During the celebrations of his birthday, the head of the Russian Orthodox Church will meet with other Orthodox patriarchs and will serve the Divine Liturgy in the Cathedral of Christ the Savior in Moscow. The full exclusive interview with the Russian Orthodox Church Patriarch will be broadcasted on RT on Monday, November 21.